Somalia championship restarts in Mogadishu. 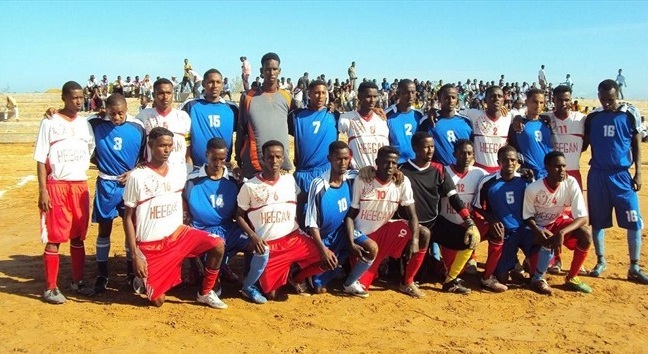 Somali Football Federation has on Friday resumed in Mogadishu its 2010-2011 First Division soccer championship, which was halted last month because of the regional football tournament held in mid-December last year. 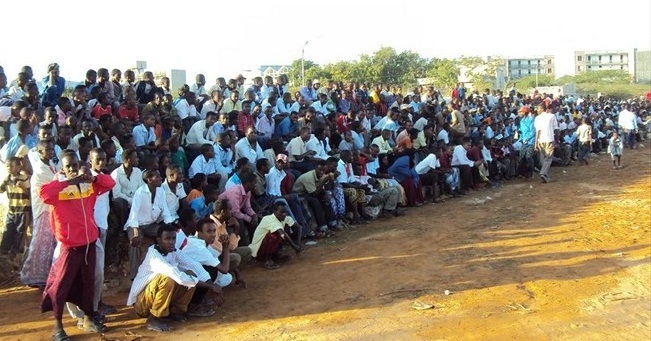 A small ceremony intended to mark on the restart, which is the biggest event organized by Somali Football Federation, was held at a football facility at a university where the tournament is taking place. Somali Football Federation Secretary General Abdi Qani Said Arab thanked residents and all who helped SFF during the repair work at the stadium a year ago. The Secretary General then handed over the microphone to FA Vice President Ali Said Guled Roble. “I urge [both teams] to show fair play and good exhibition” the vice president said, adding that every player will be valued with how well he performs during the championship. Isak Hashi, a Director at the Somali Sports and Youth Ministry, said that the Somali government was jubilant at the good job being done by the SFF. “Our ministry will stop at nothing to help Somali sporting organizations accomplish their duties,” he said. 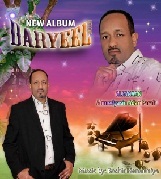 President of the Somali National Olympic Committee, Aden Hajji Yabarow, praised the SFF for the work on the stadium. “A year ago, I came here when it was being repaired and it was really like a jungle. But now it is beautiful and a good job is currently taking place,” the President said. He said that Somali NOC and its member federations are working together and that is why the consecutive competitions are being held in Somalia despite insecurity and lawlessness in the country. “I urge other sporting federations under the Somali NOC to work harder as the Football Federation is doing,” he told the media before announcing that the championship was reopened. However in today’s hotly-contested match, Somali Police club Heegan defeated its Banadir Telecom rivals by 1-0. According to the schedules Saturday and Sunday will be rest days and the next match will take place on Monday between Elman and Savana.